Sorbetiere is owned by a very beautiful French woman who makes very beautiful sorbets in the most interesting and wonderful flavours. Sorbet is a combination of the best and sweetest fruit or vegetables possible + sugar + water. 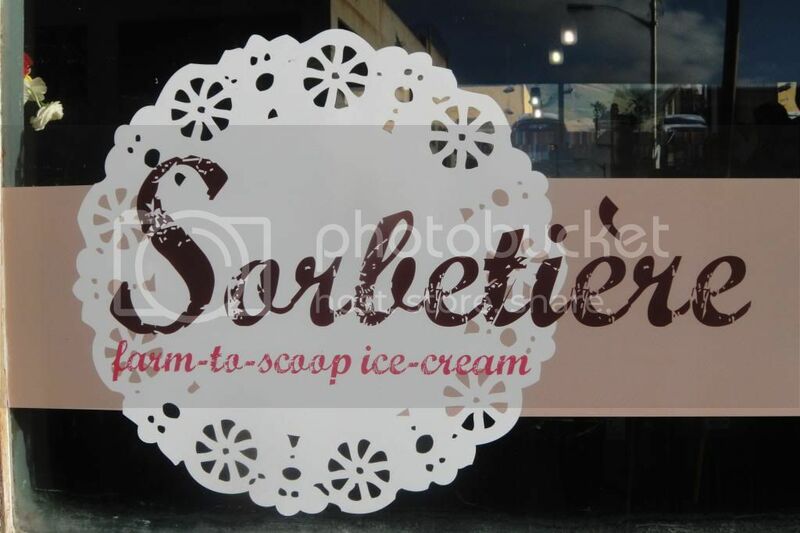 I love sorbet and I was so delighted to find out about Sorbetiere a truly magic shop of sorbets! 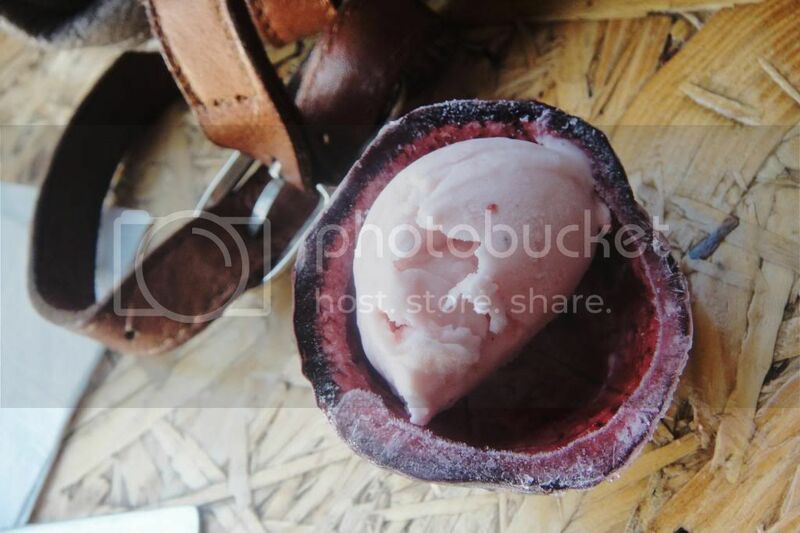 They focus on farm to scoop ice cream which means they are finding the best local supplies and using the best fruit in season to create the perfect flavour along with being sustainable and supporting local. What this means is that the flavours will be changing frequently to suit what is in season at the time. With summer here you can expect strawberry, watermelon, mojito, lemon & passionfruit, pawpaw & mint – to name just a few! Interestingly one of the challenges faced by Sorbetiere is to get the farms to leave the fruit hanging a little longer than usual to help intensify the flavours and sweetness. 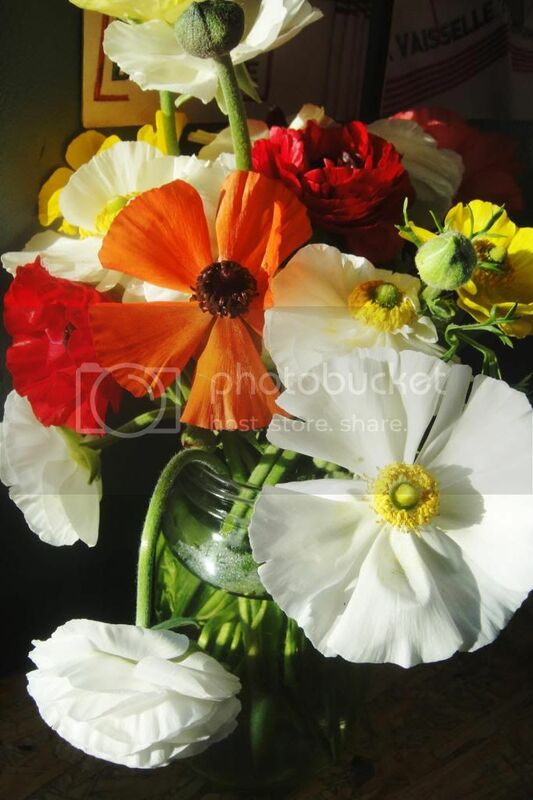 I found out about the gorgeous Sorbetiere through facebook and twitter with their open invite to their launch party. I couldn’t turn down the chance to discover a new sorbet gem! The decor is beautiful with a chalk board on one side filled with kind words and an ice cream display counter down the other side. The launch party was absolutely fabulous with delicious sorbets served in inventive and beautiful ways. 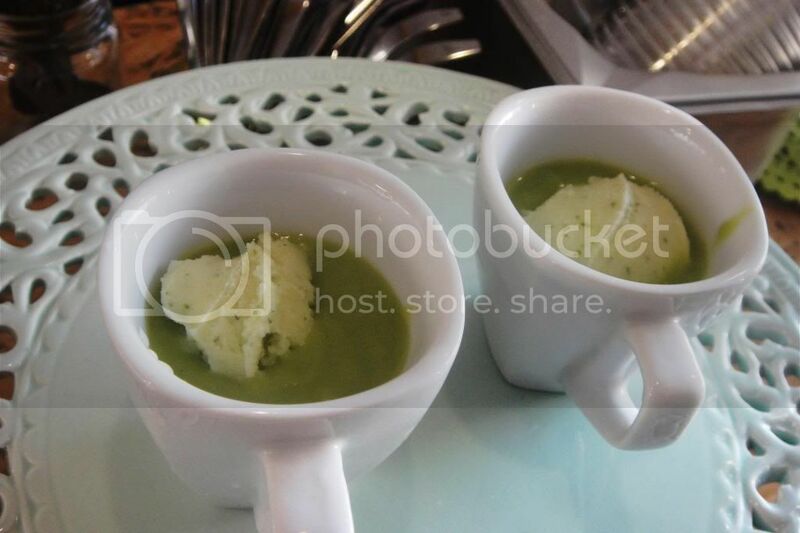 The granadilla sorbet was served in half a granadilla skin and the cold pea soup was served in little porcelain expresso cups. The attention to detail really shone through in both the food and the atmosphere. Sorbet is surprisingly tricky and needs the perfect balance between great flavour and creamy smoothness. Often people are use to poor sorbet which can be watery and icy but Sorbetiere proves that sorbet can be just as delicious and creamy as tradition ice cream with even more intense flavour. This was one of my favourite of the evening! Cold pea soup with lemon and basil sorbet! These are the brilliant flavour combinations I’m talking about! The soup was light and perfectly complimented by the strong basil and lemon combination. I could have got back for more and more of this all evening. Sorbetiere hopes to continue with their savoury sorbets and have just planted some tomatoes to grow this summer! I cannot wait to try their tomato sorbet! I love savoury sorbets and the interesting flavours that can be create by playing with unusual ingredients. This for me was the most exciting of all the flavours on offer. This is the croissant ice cream. I keep telling you how imaginative the flavours are – but wow is this French lady clever! The croissant ice cream was like a frozen bread and butter pudding, buttery and smooth but still had a brioche texture which made it chewy and flaky throughout. Fantastic! 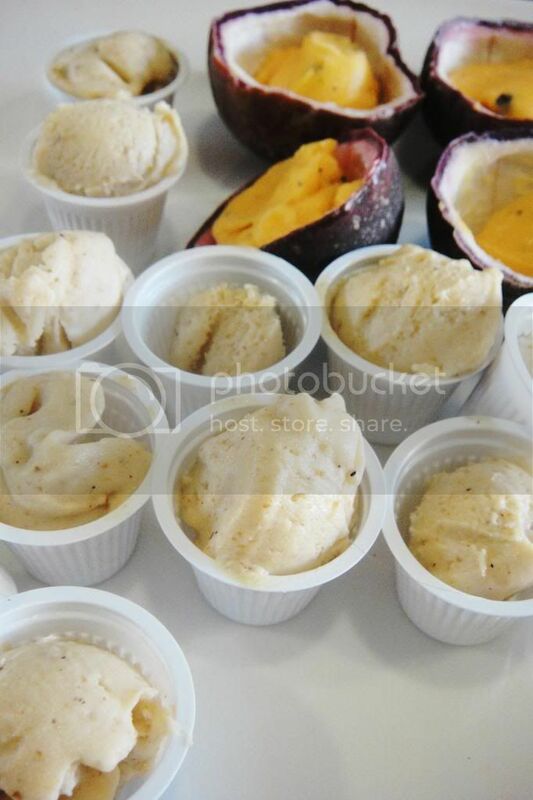 Above is the rooibos sorbet on the left, and on the right is the granadilla sorbet. The passionfruit was perfectly tart whilst being smooth and creamy – another of my favourites of the evening. 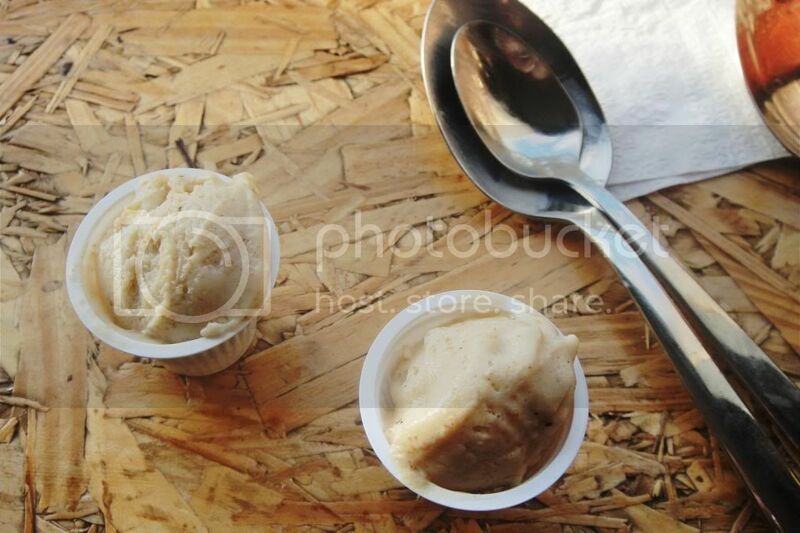 The rooibos sorbet is crazy cool – with an icey vanilla rooibos tea flavour which is perfectly refreshing. This sorbet was certainly the best tea I’ve ever had. The vanilla is so smooth and creamy and tastes like the brulee in a creme brulee. Really decadent and delicious. The chocolate sorbet is a first for me – I was expecting it to be too icey but actually was smoother than expected with a rich dark chocolate flavour. We also tried the frozen yoghurt and caramel ice cream. 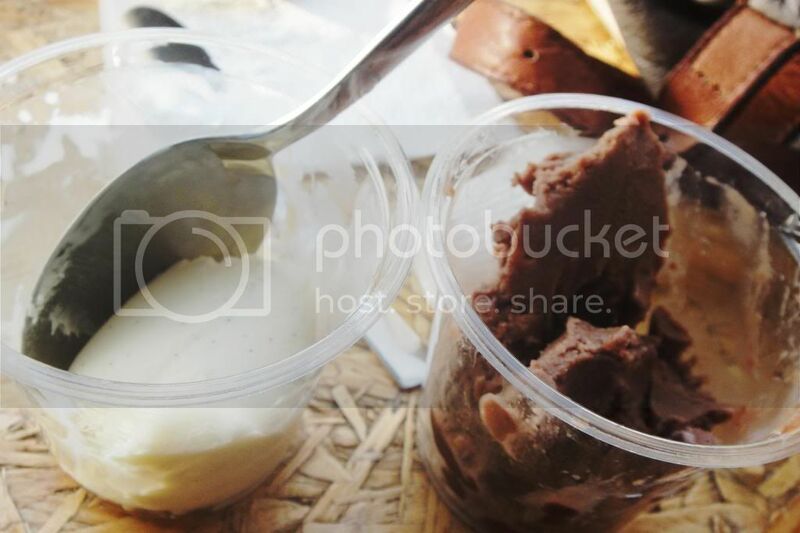 The yoghurt was a kind of sour greek yoghurt sweetened by the caramel to create a serious contrast with ever bite. This is the strawberry yoghurt ice cream. This was creamy strawberry sweet and packed with delicious’ness. I need to return to Sorbetiere to try the strawberry and black pepper sorbet! I feel like that combination is going to be a serious flavour explosion. The best thing about their Farm-to-Scoop philosophy is that every visit to Sorbetiere should yield new flavours and new combinations to try. I would highly recommend popping down to Sorbetiere to give their frozen treats a try. You can have scoops in sugar cones and cups and even take some home with you in tubs. Tubs come in 360ml, 500ml and 700ml for R35, R48 and R66 respectively. I have also spotted on the Facebook page that Sorbetiere has been experimenting with making Christmas Pudding ice cream which could be the perfect solution to our hot South African Christmases! Sorbetiere also cooks one meal for lunch every day whether its cold soup, salad, quiche or savoury crepes. I love the idea of cold soups paired with savoury sorbets – just such a brilliant idea for the hot summer months. So go and give Sorbetiere a visit, try their beautiful ice creams and imaginative lunches – you can thank me later! Terroir for Lunch La Mouette and their Incredible Tasting Menus Overture Kyoto Delights and their new Uni Sushi!